Paris is synonymous with wine. It figuratively flows through the streets and any Parisian comes with the assumed responsibility of knowing all about its many marvels. However, whilst behind the curve a little for a capital European city, Paris is finally waking up to the endless possibilities that inventive mixology has to offer. 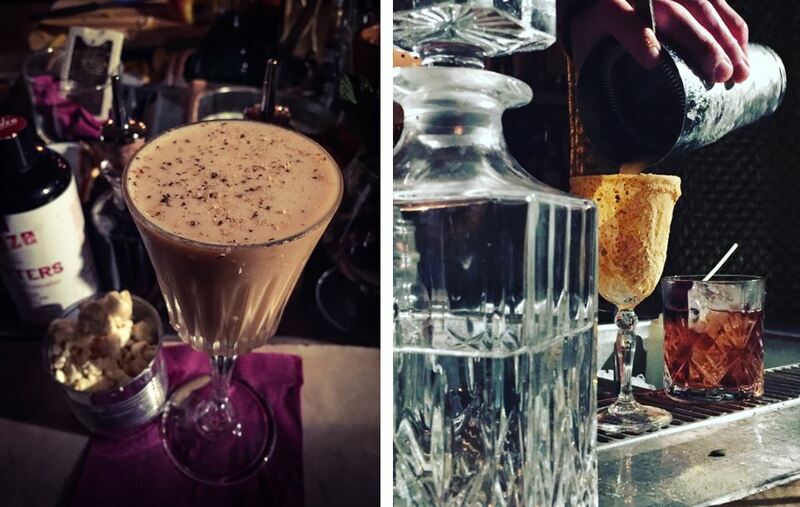 And so, on our last trip, Sated took on the gruelling task to uncover some of the cities’ greatest hidden gems in this new revolution to create our pick of best cocktail bars in Paris – you are very welcome. As mysterious as its name suggests, this dark little bar is hidden in plain sight behind a façade of peeling posters. Once you get passed the bouncer on the door – who seems as much for show as anything else – your eye is immediately drawn up to a textured ceiling that the dim lighting plays off of. Quilted gold curtains hang as backdrops of section dividers throughout the space and the atmosphere is that one a local speakeasy with everyone walking through the door seemingly knowing the handsome bartenders. The bar is really a stage where the staff perform for their captive audience. The cocktail part of the menu is broken up into Flights, Revisited Classics, Punches and ‘Insane St Denis Style’ House Creations. The Flip Pop is a very light and creamy, French whisky tipple with egg white, popcorn jam and tonka bean, served with a side of toffee popcorn. Pom da River is fruity without being sweet with a fantastic kick from the chili-infused rum. The showstopper however is the Syndicat Crusta, which comes in a glass covered in biscuit crumbs. 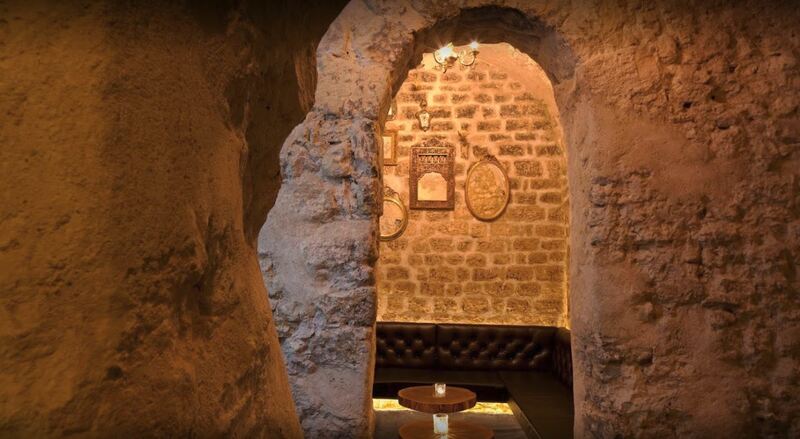 What’s not to love about a bohemian-style cocktail lounge tucked behind a cheese toastie café? Nothing, that’s what. Moodily lit by wall lights and candles flickering in sweetly illustrated holders, the bar and quiet get dynamic. 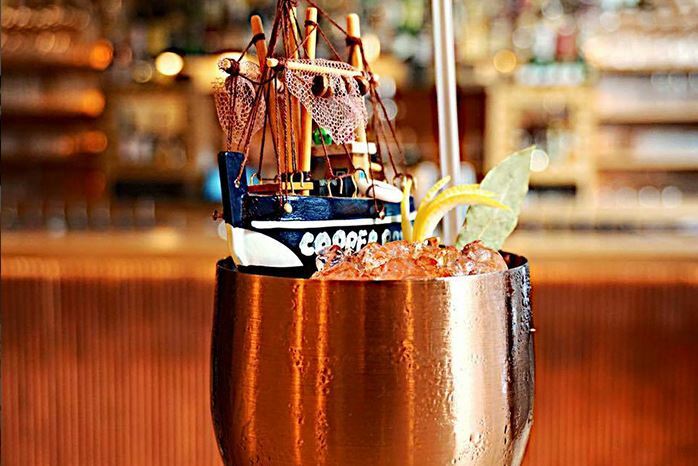 The carefully crafted menu is split into three parts – cocktails, barrel-centric beverages and rum flights – and the (slightly overly) attentive staff are happy to walk you through it. 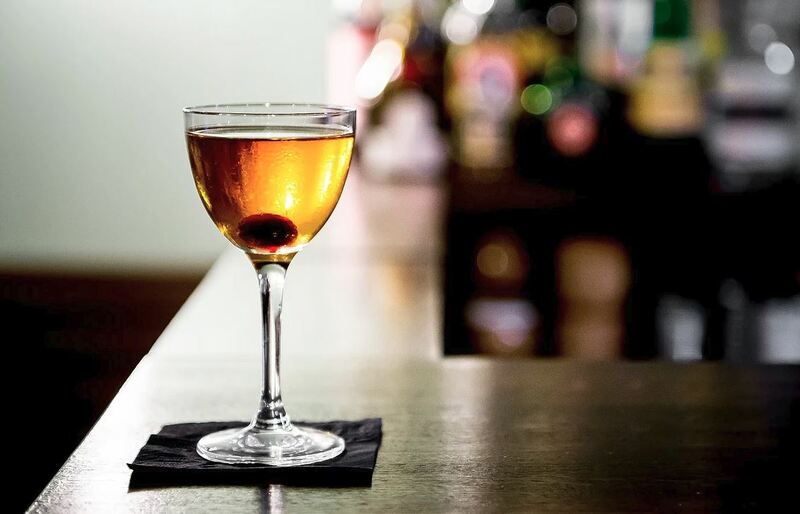 The Electric Crusta combines Calvados infused with Sichaun buttons (a small yellow flower bud that creates a strong tingling sensation) with Bergamot Curaçao, dry Madeira, pandan syrup, blood orange reduction and teapot bitters. A highly drinkable choice whose slight bitterness can be tempered with the powdered sugar that coats the glass. In contrast, Sombre Detune is strong, elegant and smoky. The exquisite Venezuelan Santa Teresa 1796 rum adds vanilla, chocolate and caramel notes whilst the Whisky Compass Box Glasgow Blend’s first-fill Sherry heritage introduces a thick fruit element, which is taken up by the Cocchi Di Torino Vermouth. The whisky also adds a good deal of peat and the drink is finished off with a drunk cherry that languishes at the bottom of the glass. By far our favourite bar in Paris to date, this nautical themed den of knotted rope and wood was founded by the magnetic Aurélia and the somewhat bashful Julian. Both are regularly ranked among the top 50 bartenders in France, they have come together to create unique and extraordinary world-class cocktails that bring a smile to your face. The Prends-en de la Graine is a bizarrely balanced and refreshing blend of cumin-infused gin, homemade coriander leaf cordial, pumpkin purée and mustard seeds, topped with vegetable crisps. The spices are remarkably fresh yet not overpowering. Other favourites include the slightly carbonated winter Pimm’s with attitude, Winter in Milano, which uses orange, Italian wine (sacrebleu! ), fresh coffee and Tonka beans; Date a Brunette, which features a little wedding token of candied almonds; and Monkey Island – a banana, peanut and toasted sesame take on an Old Fashioned. All their drinks are equally as intriguing, making this stand out as one of the best cocktail bars in Paris. Continuing on the theme of multi-functioning spaces, Lockwood is a coffee spot with a brunch offering, that also functions as a cocktail bar. We were a bit nonplus on entry as the upstairs café was practically empty and wandered around half-heartedly, perusing the brunch menu for future reference. However, after a bit of an explore, we discovered a set of stairs that led to an underground cave and things started to pick up from there. The rough stone walls and incumbent darkness give the venue an almost monastic feel, quite at odds with the busy, pre-party atmosphere. The bar follows the shape of the arches and there are all sorts of intriguing architectural oddities to stare at whilst you queue for a drink. The cocktails themselves don’t disappoint either. Sip Easy is a smoky Old Fashioned that checks all the right boxes and the English Confiture is a gorgeous gin-based drink with refreshing lemon curd that smacks the palate without being overly bitter. Whilst this establishment is certainly a lot more hectic that the others on this list, the drinks are solid and the location is a real treat.